We are looking to recruit a CPCS Accredited Trainer/ Tester for Lifting Operations. It would be advantageous to have knowledge and experience in other lifting equipment i.e. OHT, Telehandler, Excavator & Fork Lift. We are looking for an enthusiastic, self-motivated, flexible individual to join our close knit team to help us achieve our mission to encourage safer lifting operations throughout the UK. Experience in training and development, excellent communication and presentation skills along with a good standard of numeracy, literacy and a clean driving licence are essential. The successful candidate will be joining a warm and supportive team who are committed to delivering exceptional customer care to our customers and candidates and will strive to maintain and exceed our high standards that are externally recognised by the industry and awarding bodies. You would be working for one of the largest independent specialist training providers in the UK and benefit from continued professional development and be supported by our experienced administration and sales team to enable you to reach your full potential within the company. - Deliver CPCS & our own certification training at our training centre in Leyland, Lancashire as well as clients sites throughout the UK and abroad to industry and company standards. Our Vision is to be the UK’s No.1 choice for Training & NVQs for Safer Lifting Operations. 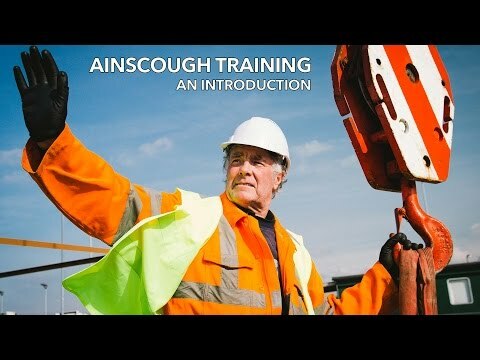 timmorgan@ainscoughtraining.co.uk for an application form or more information.